Exclusive to The Japanese Shop the Seikaiha Japanese Ramen Noodle Bowl is our best-selling ramen bowl! Very stylish blue and white wave-like design on inside and mottled charcoal grey and black on the outside! Size: 800ml, 19.6cm diameter x 7cm deep / 7.5 x 2.75 inches. Made in Japan from a quality porcelain, OK for home or restaurant use and dishwasher / microwave safe! Perfect for modern, casual but stylish home dining! Love Japanese ramen noodles? The Seikaiha Japanese Ramen Noodle Bowl is an authentic Japanese noodle bowl (actually our best-seller!) with a very stylish blue and white design on the inside and a mottled charcoal grey and black on the outside. 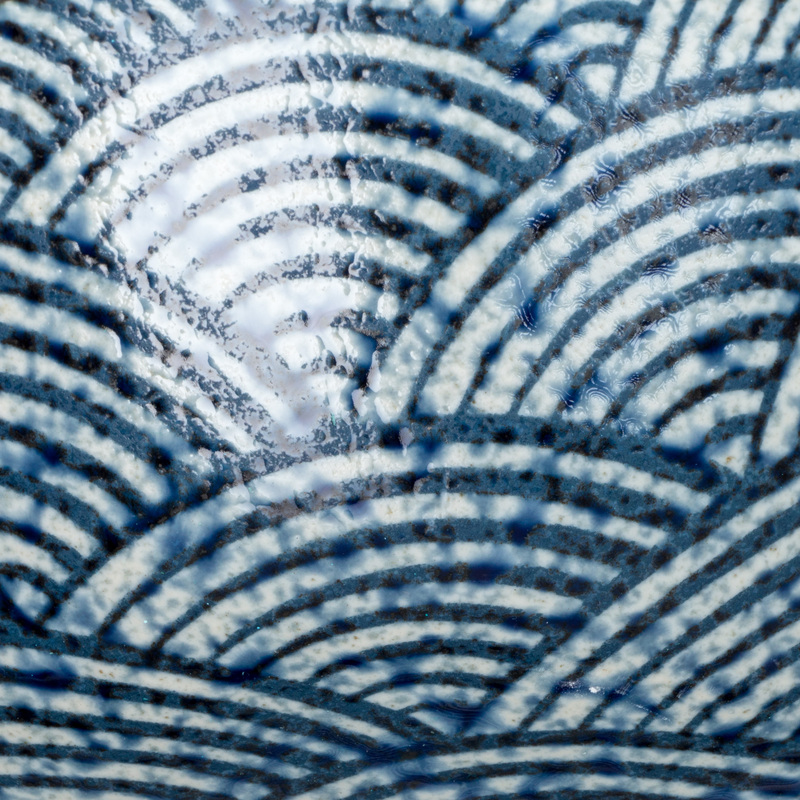 Seikaiha, which means blue sea and waves, is the geometric pattern formed of overlapping concentric semicircles and originally found on garments used for traditional court dances. 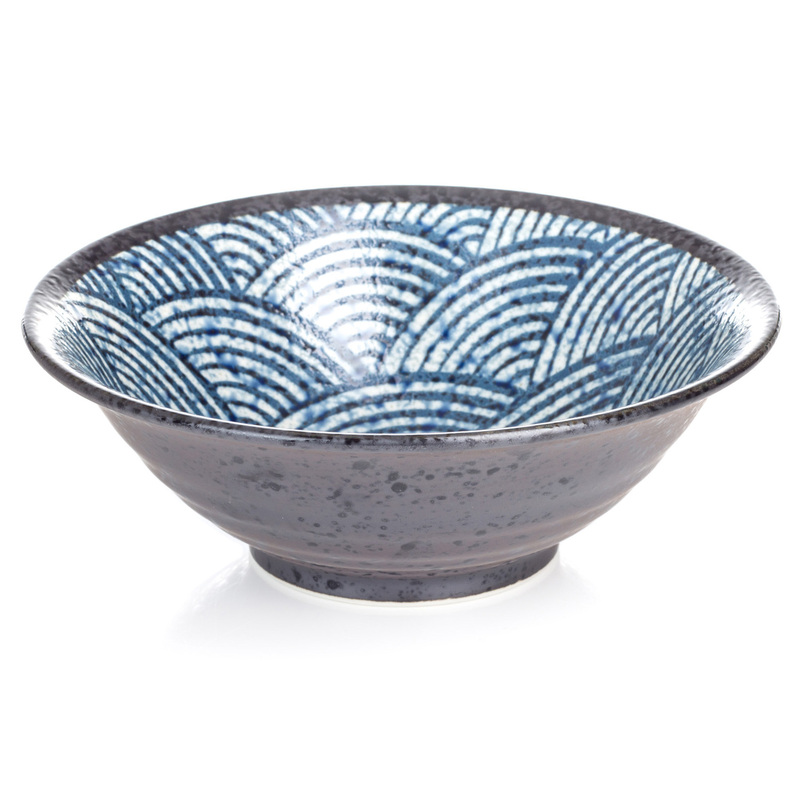 Exclusive to The Japanese Shop, this traditional Japanese ramen bowl is suitable for all kinds of western and oriental meals but in Japan would commonly be used for a delicious bowl of steaming hot ramen noodles! Made in Japan from a good quality porcelain, the Seikaiha Japanese Ramen Noodle Bowl is OK for home or restaurant use and is dishwasher / microwave safe. 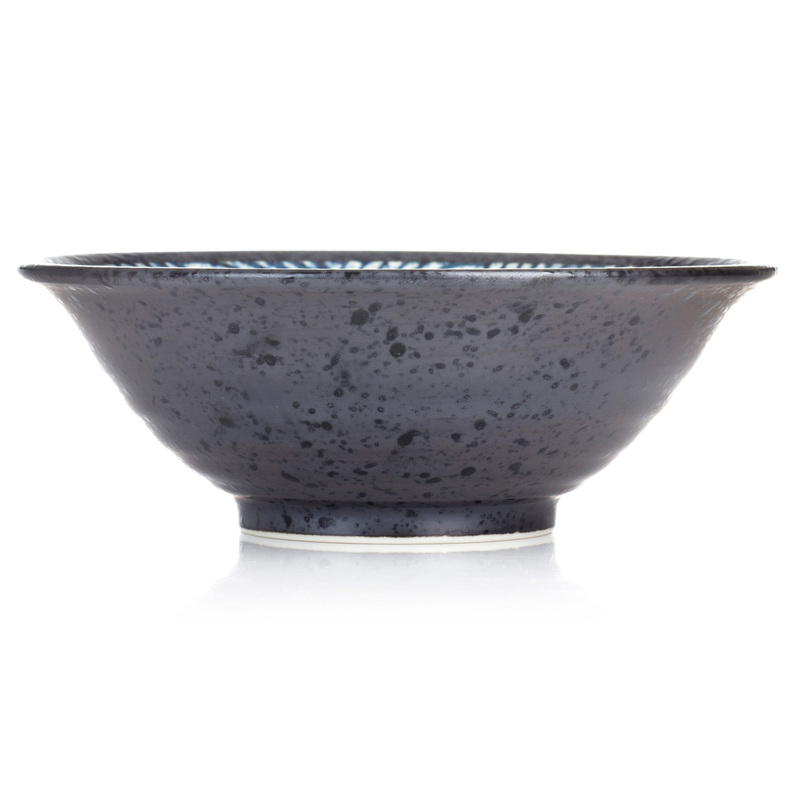 Perfect for modern, casual but stylish home dining! Order your Seikaiha Japanese Ramen Noodle Bowls online today and have them gift wrapped free of charge, or visit our showroom for this and many more authentic Japanese ramen bowls! Very pleased with the products I have just received -four ramen bowls. They were so well packed!!! A work of art!... no chance of any damage! And I was very impressed with the quality and price. Thank you. Shipped to Sweden, perfect condition. Ordered more bowls to make a complete set and going to pick them up now. Amazing quality. Lovely bowls and excellent fast service! I am very pleased with my ramen noodle bowl. It is even more beautiful than the photograph with a slightly deeper blue colour than I expected. It looks as if expertly made by hand rather than mass-produced. I would recommend it highly.